It is known by doctors that long term use of the Oral Contraceptive Pill (OCP) can increase the incidence of liver tumors such as adenomas and hemangiomas. Hemangiomas are tumors made from blood vessels and adenomas are round shaped tumors. These are usually benign (non- malignant) tumors, but occasionally can become cancerous. Recently I saw a 49-year-old lady with elevated liver enzymes and fatty liver indicating liver inflammation. She also had two liver tumors evident on her liver ultrasound which had been present for several years and thankfully had not grown in size. She had seen a professor of hepatology (liver diseases) who told her that her liver tumors could be Follicular Nodular Hyperplasia (FNH) but could not be sure without liver biopsies. She did not want anyone putting a needle in her liver, and I did not blame her, as liver biopsy can cause bleeding in the liver. She felt reasonably well but wanted to shrink the liver tumors. She had been taking the oral contraceptive pill for over 20 years without a break and this was a big factor in the development of her liver tumors. I recommended that she stop the OCP and avoid taking any oral forms of hormones. 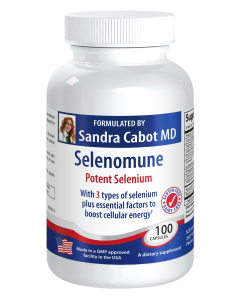 To shrink her liver tumors I recommended that she take selenium in the form of Selenomune which contains three forms of selenium that have been shown to exert anti-cancer effects. Selenomune also contains Vitamin C, Folic Acid (as 5-methyltetrahydrofolate), Vitamin B-12 (as Methylcobalamin), Iodine, Zinc, Manganese, Chromium, Molybdenum, Boron and Brewer’s Yeast. This is a powerful formula to boost the strength of the immune system and increase energy levels. 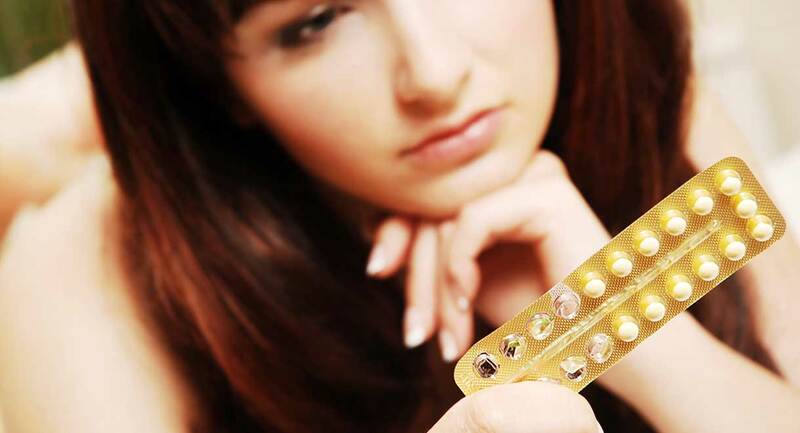 It is interesting that so many women take the oral contraceptive pill for years without having checks on their liver such as a blood test for liver function or an ultrasound scan of their liver. This is because no one warns them that prolonged use of the oral contraceptive pill can cause liver problems. Estrogens and oral contraceptives are associated with several liver problems including sluggish bile flow (intrahepatic cholestasis), dilatation of spaces in the liver (sinusoidal dilatation) liver adenomas, liver cancer (hepatocellular carcinoma), clotting of the veins in the liver (hepatic venous thrombosis) and an increased risk of gallstones. These side effects are more common with higher doses of estrogens, as were used in the early high dose estrogen formulation of oral contraceptives, but they have also been described with use of more modern birth control pills and with low dose, estrogen hormonal replacement therapy. Estrogens and OCPs can cause mild inhibition of bilirubin excretion, leading to jaundice in patients with inherited forms of bilirubin metabolism. Estrogens and OCPs can induce bile stasis (cholestatic) liver injury which usually starts during the first few cycles of OCP use. The onset is typically insidious with fatigue and itching skin (pruritus), followed by nausea, dark urine and jaundice. Women with OCP induced cholestasis often have a history of cholestasis of pregnancy. Estrogens and OCPs have also been linked to hepatic tumors, both benign and malignant. Numerous reports of hepatic adenomas have been linked to estrogen and OCP use, typically arising after several years of use and presenting either with pain or a liver mass. The risk of developing hepatic adenomas on OCPs is estimated to be 0.5% per year. In some instances, malignant transformation and liver cancer (hepatocellular carcinoma) have been found. Benign tumors may shrink to some extent with stopping estrogens, but others require treatment. Estrogens may also promote the growth of other benign liver tumors, such as focal nodular hyperplasia, hemangiomas, and hamartomas. Hepatocellular carcinoma has been linked to use of oral contraceptives in several case reports and case controlled studies. However, in larger studies and population based analyses, oral contraceptives have not been clearly linked to liver cancer. Hepatocellular carcinoma is extremely rare in young women without other liver diseases, and even if oral contraceptives increase the risk of this cancer by 2- to 3-fold, it remains very rare. Long term use of oral contraceptives is associated with dilatation of the spaces in the liver (sinusoidal dilatation) a finding on liver biopsy of uncertain significance. Extreme sinusoidal dilatation associated with venous lakes and liver rupture is referred to as peliosis hepatis, which can be associated with pain and hepatic rupture. Oral contraceptive pill use has been associated with rare instances of peliosis hepatis. Stopping oral contraceptives has occasionally been associated with regression in the severity of peliosis. Oral contraceptives and long term use of hormonal replacement therapy are also associated with a slight increased rate of gallbladder disease, typically occurring during the first few years of estrogen use. Women are more susceptible to developing gallbladder problems than men, even if they’ve never taken oral hormones. There is a great deal of information in my book Save Your Gallbladder, and what to do if you’ve already lost it. 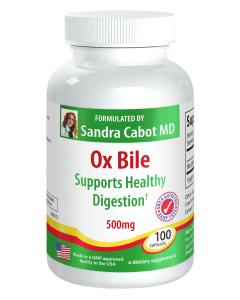 The dietary recommendations in that book, the liver tonic Livatone, and ox bile capsules are the most useful remedies for the majority of gallbladder problems. So the moral of the story is – always keep an eye on your liver as it keeps you well 24 hours a day, 7 days a week. Have a blood test for liver function done every 12 months and if you have any abdominal discomfort ask for an ultrasound scan of your liver. 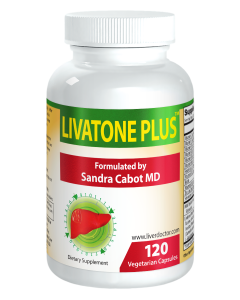 If you are concerned about the health of your liver and want to maximize its function, LivaTone Plus may help you.